You won't hear footsteps above you with this vaulted ceiling condominium! 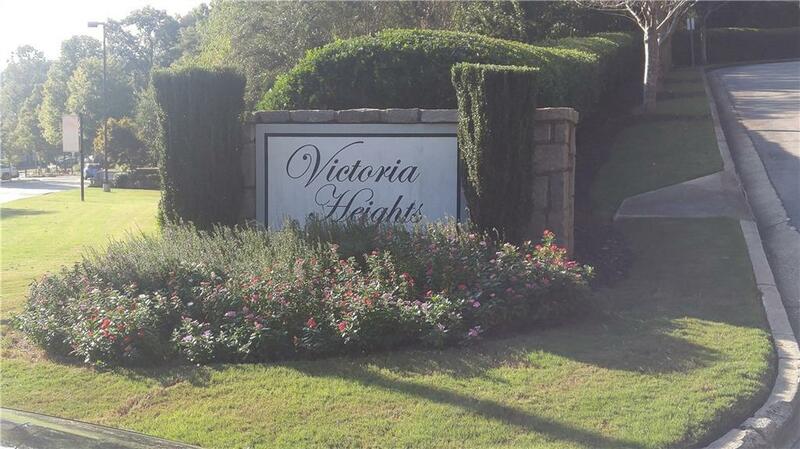 Quiet end unit, 3rd level, with a balcony in a gated community - fantastic location in Sandy Springs! Freshly painted interior from top to bottom. Exterior recently cleaned/painted. Brand new carpet with renovated granite kitchen/bath countertops & hardwood floors. Brand new kitchen sink faucet. Relax at the beautiful pool. Into fitness? The racquetball court recently transformed into a well-equipped weight room. Add to your workout routine with the cardio room while watching cable TV. Directions: Traveling South On Roswell Road, Take Right On Cimmaron Pkwy (Just Past Rbm Of Atlanta Mercedes Benz) Turn Right At Stop Sign At Intersection - Santa Fe Pkwy, Then Proceed Through Right Gate - Take First Right And Follow Road To Bldg 7 On Right. Unit Located Facing The Wooded Landscape Side.